Fibers are hair-like strands which are extremely long in comparison to their width. They are strong, flexible and spun into yarn and used for fabrics. The fibers which are obtained from naturally occurring sources are called natural fibers. They include cotton, wool, silk, etc. They are obtained mainly from plants and animals. They account for more than half of fibers produced in the world each year. The clothes made by cotton fabrics are comfortable to wear. They have theproperty of retaining our body heat. The clothes made by natural fibers absorb heat. Cotton and woolen clothes do not retain their creases. Woolen clothes are attacked by insects. Cotton and woolen clothes shrink on ordinary washing. 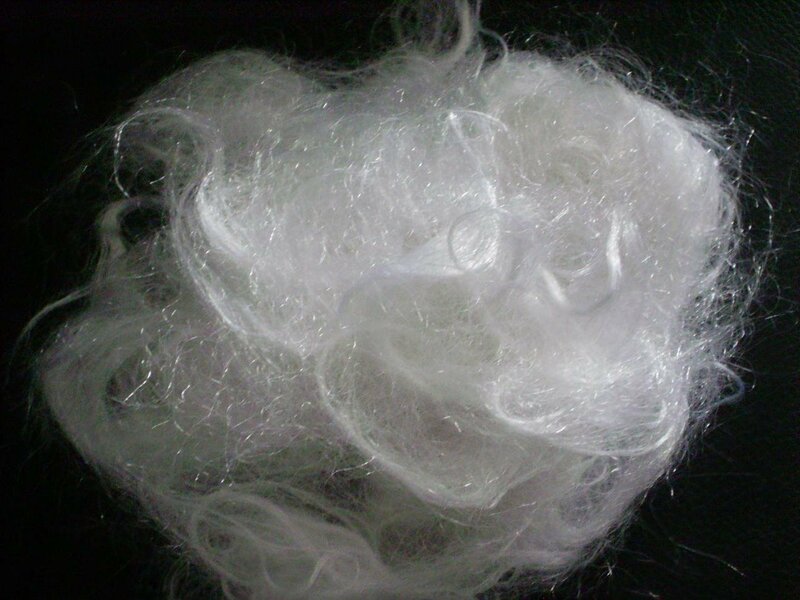 Except silk, other fibers are very short. The fibers that are made by artificial methods are called artificial fibers. They are also called manufactured fibers. They are of two types. They are regenerated and synthetic fibers. The clothes made by it are smooth, fine and durable. They are not attacked by insects and fungus. They absorb very little water, hence they dry up very quickly. The clothes made up of it catch fire easily in air. They produce bad smell on burning and pollute the environment. Absorption of sweat is less. 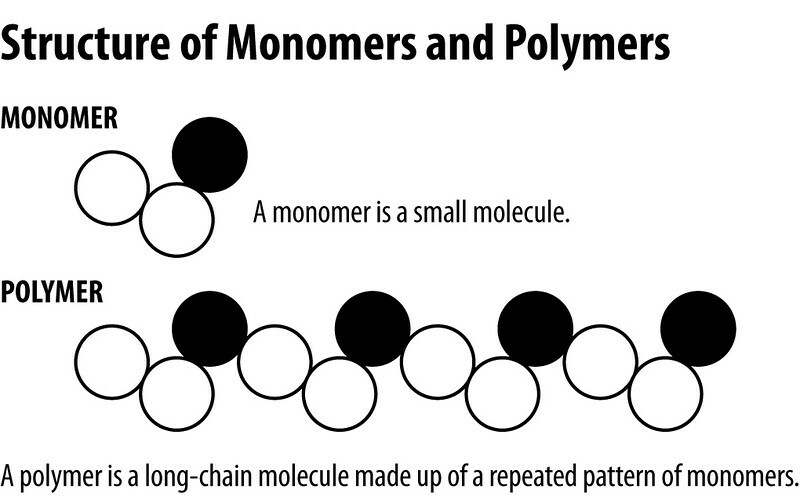 Monomer: The simple organic molecules which are used to make polymer is called monomer. Polymer: The complex organic molecules which are made by repeating the same or different types of many simple organic molecules are called polymer. Polymerization: The process in which two or more simple molecules are joined together to form a polymer is called polymerization. Fibers are hair-like strands which are extremely long in comparison to their width. They are strong, flexible and spun into yarn and used for fabrics. Broadly, fibers are divided into two types. They are natural fibers and artificial fibers. The fibers which are obtained from naturally occurring sources are called natural fibers. They include cotton, wool, silk, etc. They are obtained mainly from plants and animals. Natural fibre rope making using Milkweed. What are synthetic Fibres ? Thread like substances possessing strength and elastic property is called fibre. A fibre is a natural or artificial thread which bears higher tensile strength and is very strong. This is used in making clothes, ropes, nets etc. What is meant by synthetic fibre? These are prepared by chemical process. These are thick, warm and durable. Nylon, polyester etc are synthetic fibres. Synthetic fibres are mostly used in making sweaters, carpets, vests etc. What is meant by recycled fibres? Recycled fibres are replacement of natural fibres. They are quite similar to the natural fibres, e.g. rayon is obtained from cellulose and pulp within the wood. They have properties similar to that of cotton. 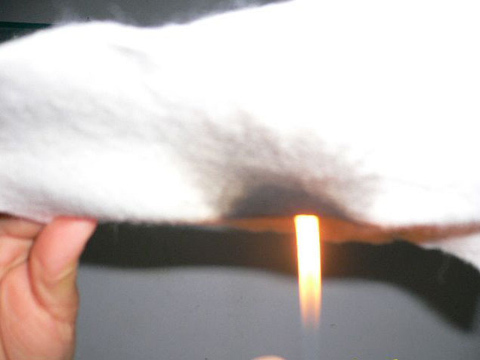 Write down the difference between natural and artificial fibres. Fibres, which are naturally found, are called naturally fibres. The manmade fibres are called artificial fibres. What is fibre? Write down its types. A fibre is a natural or artificial thread which bears higher tensile strength and is very strong. e.g. ropes, nets, etc. The artificial fibres are of two types. Fiber is defined as ______. an objects that are,hair like strands which are extremely long, made from special type of clay, hydrated aluminum silicate (Al2O3.SiO2.2H2O), feldspar and silicates. Fibres are hair like strands which are extremely long in comparison to their width. They are strong, flexible and spun into yarn and used for fabrics. objects made from special type of clay, hydrated aluminum, feldspar and silicates. The simple organic molecules which are used to make polymer is called ______. Which is also known as artificial silk? Any Questions on 'Fibers '?